MIET was recognized by the Quality Council of India (QCI) for its patent-pending, multiple awards winning quality analytics software framework – Performance Insight 360. The Quality Council of India (QCI) conferred the prestigious D.L Shaw Platinum Award for Quality to MIET for its innovative quality management software during the 11th National Quality Conclave at New Delhi on 19th August 2016. The Quality Council of India is an autonomous body set up by the Govt. of India to drive quality initiatives including certification and accreditation across all sectors and industry verticals. The QCI-D.L Shah Awards for Quality are the highest recognition accorded to quality initiatives which are innovative and have demonstrated impact on organizational quality. Prof. Ankur Gupta, Director, MIET accepting the prestigious D.L Shaw Platinum Award for Quality from Hon’ble Minister of State for Civil Aviation, Mr. Jayant Sinha at the inaugural ceremony of the National Quality Conclave at Hotel Le Meridian, New Delhi. MIET received national-level recognition as a top innovator at the Eighth India Innovation Initiative, jointly organized by the All India Council for Technical Education (AICTE), Department of Science and Technology (DST) and Confederation of Indian Industries (CII). The entry from MIET was the software analytics framework, Performance Insight 360 which is a multiple award-winning software developed by the Center for Software Development at MIET. MIET was selected in the top 51 across India out of 600 entries. MIET finished in the top 9 awardees in the country and received the Startup Board Award carrying a cash prize of rupees ten thousand and support to commercialize the product. 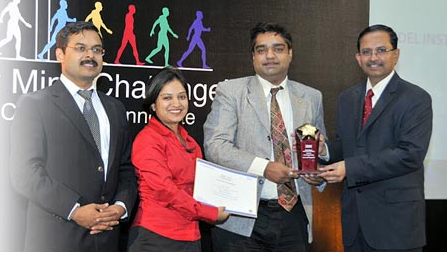 MIET was the only institute from North India which won an award at this national level innovation competition. 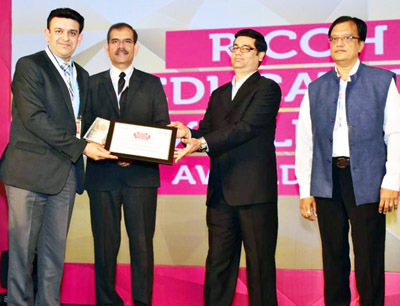 MIET was recognized as the Best Institution for Enabling Technology in Student Services at the Ricoh Education Excellence Awards in a glittering ceremony held at Hotel Le Meridian, New Delhi. MIET received the award in recognition of the development and implementation of the Performance Insight 360 analytics framework, which tracks, benchmarks and helps enhance student, faculty and institutional performance. Two patents have been filed by MIET to protect the intellectual property generated during the design and development of the PI 360 software. Prof. Ankur Gupta, Director, MIET accepted the award from Mr. Manoj Agarwal, MD, Ricoh India and Prof. S.S Mantha, Former Chairman of the All India Council for Technical Education (AICTE). 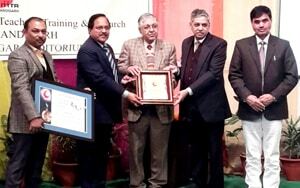 MIET is the recipient of “Outstanding Institution award conducted by NITTTR, Chandigarh for 2013-14 academic year. The award is given by NITTTR to figure out and felicitate the best institution in the northern region based on their performance on research, placements, academic linkages, entrepreneurship etc. During the year 2013-14, MIET has displayed remarkable performance in all the fields. It filed two patents and 21 research papers were published in the international journals and conferences. It has four student chapters of international/national level organizations like IEEE, IETE, CSI and ISTE which conduct various activities including national/state level seminars. This year, IBM bestowed it with the award of “Best 50 colleges of India” in the The Great Mind Challenge (TGMC) contest in which over 2,000 colleges of the country participated. MIET was recognized among top 50 colleges by IBM during TGMC-2013, a platform builds to recognize and reward project work of engineering students from all across India. MIET was ranked 29th among 1800 participating institutions in recognition of project quality, the technology involved and its applicability in the real world.